Technology is evolving—both in the solar industry and home automation space—and finding a way to connect the two has become increasingly important. 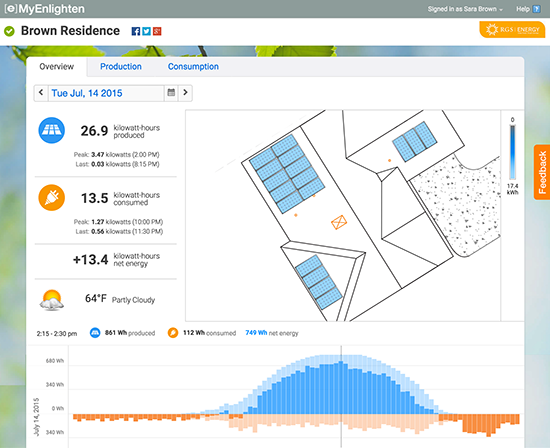 Last year, Enphase introduced the vision for its Enphase Energy Management System with the promise of integrating solar generation, energy storage, load monitoring and smart grid intelligence into what will create the smart, connected home. 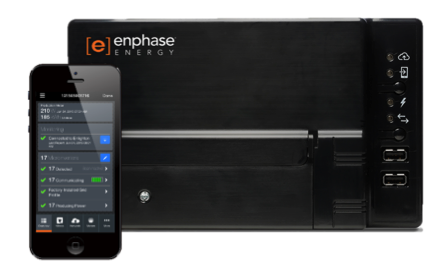 Today, Enphase is launching a key component of our energy management system—the Envoy-S Solution. Now, Envoy-S enables more cost effective and reliable installations while creating greater value for solar customers. The Envoy-S communications gateway serves as the local “brain” for the system, balancing generation, storage and load. With the new gateway, Enphase is introducing a complete solution: the Enphase AC Combiner Box, the Enphase Mobile Connect cellular modem and data plan and a series of partnerships that further extend energy management capabilities. We’ve worked hard to balance the need for a simple, fast installation with the ability to offer new features to homeowners, so there are two versions of Envoy-S, one Standard and one Metered. Both have a longer warranty, can be installed outdoors and use integrated WiFi to work with a redesigned Installer Toolkit mobile app for fast and easy system set up. The Envoy-S Metered adds built-in revenue-grade generation metering and optional consumption metering for managing storage and integrating with other home energy solutions. 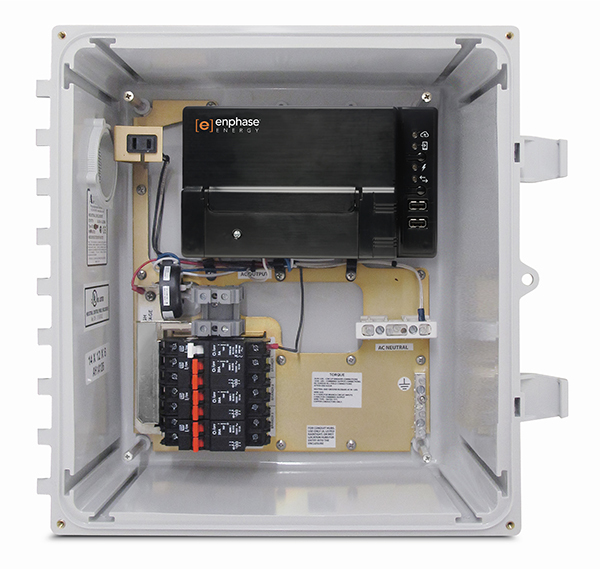 Fast installations and lower cost are the driving factor for the solar industry as a whole, that’s why Enphase integrated the Envoy-S into a purpose-built application called the Enphase AC Combiner Box. The AC Combiner Box is specifically designed to speed up the installation process while reducing material and labor costs. It integrates the Envoy-S metered with a pre-configured set of electrical components to consolidate equipment for an equipment savings of 20%. UL listed, the AC Combiner Box ensures not only a safe installation but also a smooth inspection process, which has proven just as important in saving time and money. With these new metering capabilities in Envoy-S, installers can now provide energy insight for their customers. With enhanced data and engagement, homeowners will be able to see not only the times their systems are producing the most energy but also the times they use energy the most – and how to take the best advantage of their decision to go solar. This integration is also what will drive charge-discharge decisions with the AC Battery. The easy-to-understand view of their energy allows system owners to understand their energy use when and if they want to, but they can rest assured knowing their intelligent system will function correctly no matter what. Envoy-S is the first in a series of new products; I look forward to telling you more about our Energy Management System in the weeks to come. With Ensemble, the future of energy is here. We've developed a new series to breakdown exactly what that means.